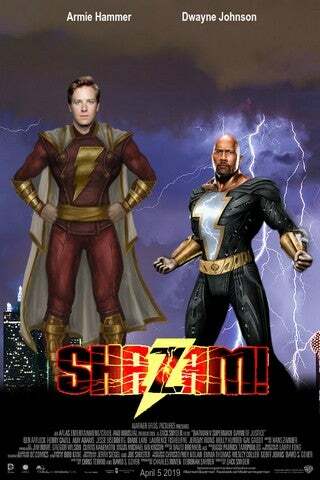 The upcoming Shazam! movie might be introducing more than one superpowered youngster. Omega Underground recently uncovered an audition tape for the upcoming DC Comics film. The tape shows actor Brendan Heard (Odd Squad, Orphan Black) auditioning for the role of 'Frank', a "disabled foster kid" with a sarcastic sense of humor. Fans of the Shazam family will recognize those character traits as belonging to Freddy Freeman, also known as Shazam Jr. In the comics, Freddy is severely injured due to a fight between Shazam and Captain Nazi, causing Billy to transfer some of his powers to the young boy. Freddy then becomes Shazam Jr., and is taken into Billy's foster family. The dialogue in Heard's audition tape seems to suggest a different origin for Freddy, with him already being disabled, and introducing Billy into the foster home. Another scene hints that Freddy is well aware of Billy's powers, and almost jealous of them, as he talks to an adult Shazam after he saves a bus full of people. Of course, this could just be stock dialogue used for auditions, with the scenario being a little different within the actual film. But if bits of it do end up being true, it hints at a pretty interesting sidekick for the film's titular hero. The audition tape also provides hints to the DC universe - namely, the members of the Justice League. Freddy apparently owns a large collection of superhero memorabilia, including a replica of Batman's Batarang and an "Ark of the Covenant" filled with Superman merchandise. This isn't the first time that Justice League members have been mentioned in Shazam audition tapes, with a previous audition also mentioning Superman. Still, this new tape further connects Shazam to the other DC Films - something that has been a hot topic of discussion in recent days. In a recent Vulture interview, several DC Entertainment executives addressed the shared universe nature of their films going forward. Essentially, many of the films will exist within the same continuity, but connections to separate films will be on a story-by-story basis. “Moving forward, you’ll see the DC movie universe being a universe," DC Entertainment president Diane Nelson explained. "But one that comes from the heart of the filmmaker who’s creating them." With regards to Shazam, it makes sense that the cinematic universe's biggest heroes would be a topic of conversation, even in passing. Considering the cultural impact of both Batman and Superman, it would be safe to assume that plenty of nerdy kids like Freddy would be idolizing them. It also hints at Shazam's future ties to the Man of Steel, with Superman speculated to cross paths with Shazam and Black Adam quite a bit. With casting news for Shazam set to be announced soon, here's hoping we won't have to wait too long to find out who is bringing Freddy and Billy to life in the film. Shazam does not have an official release date, but is expected to hit theaters in 2019.